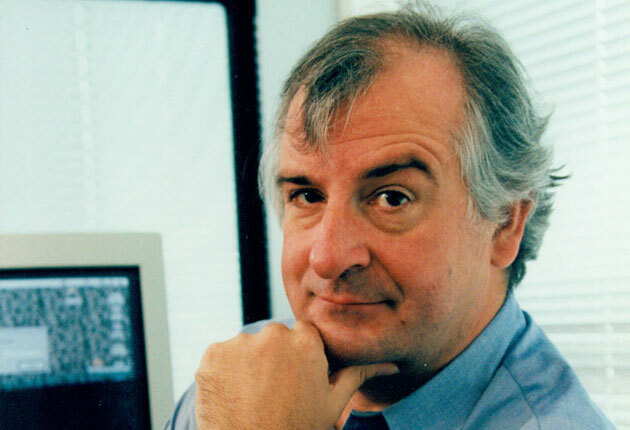 If writer Douglas Adams were still alive, today would've been his 60th birthday. There's even a virtual birthday party. The creator of The Hitchhiker's Guide To The Galaxy died in 2001 at age 49 (not 42). In the early '90s, I was living in Madison, Wisconsin, in the US where I went to college. I was walking on the pavement when this very tall middle-aged white guy with a big nose blocking my way. We were both trying to sidestep a puddle and did this little tango where we were trying to let the other pass but ended up accomplishing the opposite. And the whole time we didn't say a word and avoided eye contact. I think we were both mildly irritated with each other, but we eventually extricated ourselves from the dance-off. Walking away, I suddenly realised that was Douglas Adams! I couldn't believe it. What was the probability that in the infinite vastness of space and time, that a writer whom I had obsessed about and I would be on the same sidewalk at the same time? The Brit was in town to promote his new book Mostly Harmless, "the fifth book in the increasingly inaccurately named Hitchhikers Trilogy". I was even planning to go see him do a reading later that evening. I stopped in my tracks and turned around, wondering whether I should run back to him and shake his hand. But the pavement was icy and I didn't want to hurt myself. And so I missed the opportunity of a lifetime. I didn't even make it for the reading. 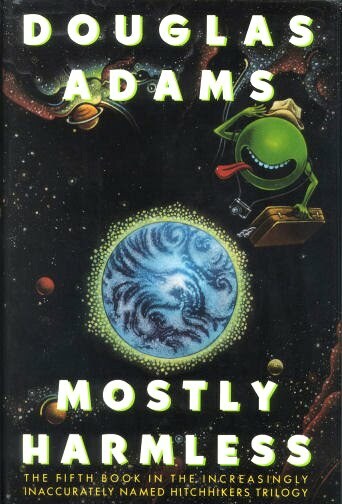 But at least I can say I once went toe-to-toe with the great Douglas Adams. One small consolation is that I have the autograph of Arthur Dent, the "hero" of the Hitchhiker's Guide series. 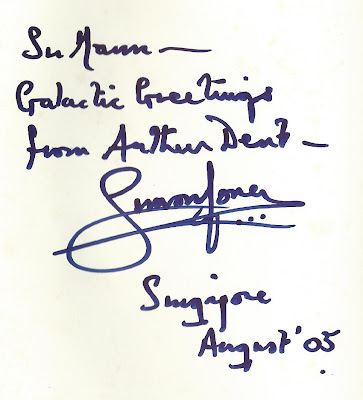 In 2005, actor Simon Jones was in Singapore to be in a play. 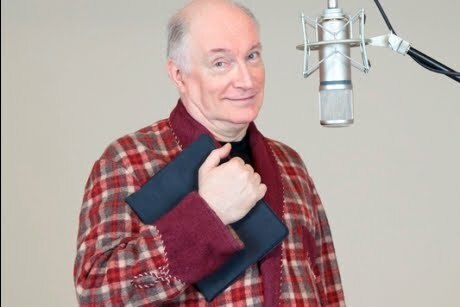 Jones had played Arthur Dent in the original Hitchhiker's Guide BBC radio series as well as the TV series. He was going to MediaCorp to promote his play and I was working at MediaCorp at the time. I stopped him at the MediaCorp reception and asked him to sign the cover of my DVD boxed set of the TV series. I should've let him use a marker pen with a finer tip. Belgium!